Yesterday Prof. Edwin van Teijlingen met with Nepalese collaborators from Tribhuvan University to discuss the first training session planned for THET project ‘Mental Health Training for Maternity Care Providers in Nepal‘. 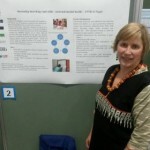 The target population of the project comprises community-based health-care practitioners at the level of nurse and below (there are no doctors in rural villages). 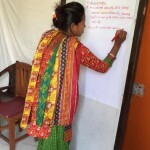 The project is a collaboration between the Department of Health, Physical and Population Education at Nepal’s oldest and largest university, Tribhuvan University’s (TU), and two UK universities, Bournemouth University (BU) and Liverpool John Moores University (LJMU), and supported by our local partner, Green Tara Nepal (GTN). BU has a long history of working with GTN as well as its sister organisation Green Tara Trust (GTT), a Buddhist charity based in London. The project is funded from a grant awarded under the Health Partnership Scheme (HPS). 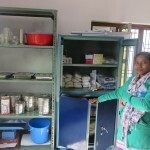 HPS put money into health partnerships to carry out training and capacity-building projects in low-income countries, such as Nepal. HPS itself is funded by the UK Department for International Development (DfID) and managed by THET (Tropical Health & Education Trust). Prof. Edwin van Teijlingen is one of the first volunteers together with BU Visiting Faculty Dr. Bibha Simkhada (research nurse at LJMU & practising nurse in the NHS). Together with collaborators in Nepel they will deliver the first training early in 2016 (i.e. next week) on this THET project. 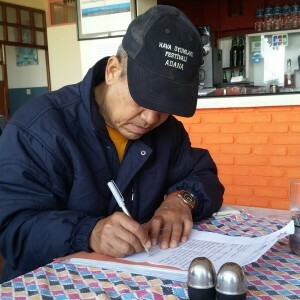 The first photo shows Prof. Lokendra Sherchan writing a letter of invitation to the District Public Health Officer in Nawalparasi inviting him to encourage his staff to participate in our training. The letter is beautifully handwritten in Nepali as the university is closed between terms at the moment. The second photo shows professors Shyam K Maharjan, Ram K Maharjan and Edwin van Teijlingen in discussion with Kathmandu in the background. Both photos are taken by GTN’s Samridhi Pradhan. We have published some of the background information on our project earlier this year in the Nepal Journal of Epidemiology .